Valentine's Day Only Comes Around Once A Year... Are You Ready To Make A Major Impact In Your Love Life By Giving Your Partner The Gift Of Authentic Kashmiri Fashion Art? Valentine's Day is one of the BIGGEST opportunities to tell your sweetheart how much you really love her. ...Stopping there is REALLY missing an amazing chance to demonstrate your love for her. That's why you've stopped by The Kashmir Company! You're looking for a gift that helps your lover express the nuances of her deep and complicated personality. Our Kashmir Shawls & Scarves are more than just diamonds - these are timeless pieces of Fashion-Art that will make your significant other FEEL beautiful, luxurious and confident. There simply isn't another Valentine's Day Gift that will expose how much you truly understand and cherish the love of your life! An authentic, intricately handmade Kashmir Shawl or Scarf is a one-of-a-kind addition to your sweetheart's closet - that will literally bring her wardrobe back to life! ...While the Kashmir Shawl or Scarf you painstakingly chose for her flatters all of her unique, sensual curves in a way that no other garment can! It's something you'll absolutely remember forever! So please, browse the collection we've assembled especially for this romantic day - and express your appreciation for Someone You Love - by giving her a gift as original as she is! To the Most Extraordinary Valentine's Day EVER! P.S. The gift you give your lover reveals how well you REALLY know her. Don't make the mistake of following a connect-the-dots blueprint for buying Valentine's Day presents. Give her a gift that shows her that you took the time to find something truly exceptional to flaunt your love for her! Centuries Old Fashion Creating a Revolution in Women’s Modern Style! 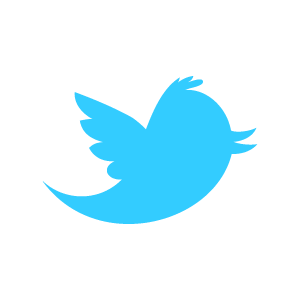 "Thank you so much for the unbelievable good customer service! "Love the black Nishaat shawl with the embroidery which I received as a Christmas gift. I have worn it a few times already through the holiday party season and everyone loves it." "It wouldn't surprise me to find shawls like these in a craft museum, or even in a museum of natural history, to us they are significant as a form of art." "The Softest Cashmere in the world!" Jacquard Cashmere Pashmina Scarf Collection - Softest & Luxurious! Natural 100% pure, luxurious and the softest Jacquard Cashmere Scarves self woven with a beautiful mughal paisley design. The subtle woven design renders an eternal elegance to these very luxurious wool Cashmere Scarves. Only the softest and highest quality Cashmere Pashmina wool has been used to weave these most elegant Cashmere scarves. you’re guaranteed to stand out from the crowd no matter what you buy!" Join the Kashmir Shawl & Scarf Revolution! Your fashion is an expression of WHO YOU ARE! That’s why it’s important to wear clothes and accessories as original as you are. Authentic Kashmir Shawls & Scarves are gaining in popularity at an astonishing pace, because fashion-conscience women everywhere want accessories in their wardrobe that nobody else has. ... And wearing a one-of-a-kind shawl or scarf from The Kashmir Company is the act of declaring yourself a fashion leader. That’s WHY handcrafted Kashmir Shawls & Scarves are taking over women’s modern fashion! These centuries-old iconic trendsetting staples of royalty have once again caught fire in the most influential culture-capitols of the world. Are you ready to become your city’s handmade Kashmir Shawl or Scarf fashion ambassador? The Kashmir Company is on the leading edge of fashion trendsetting for women with a refined, luxurious love for superior clothes and accessories. ...And since each unique piece of Fashion-Art that we sell at The Kashmir Company is TOTALLY original, you’re guaranteed to stand out from the crowd no matter what you buy! And even just a casual get together with your girlfriends in the city. But PLEASE DO NOT HESITATE to purchase the Kashmir Shawl or Scarf that calls your name, because once an item is gone — IT’S GONE FOREVER! We know you’ll discover the right designer Kashmir Shawl or Scarf for ANY occasion in our elite Seasons Collections! Our imaginative Kashmir Shawls & Scarves are the perfect gift to give your loved ones when making an impression that lasts a lifetime is your ultimate desire. Hand-crafted by master craftsmen, The Kashmir Company products are exceptional and very exclusive. 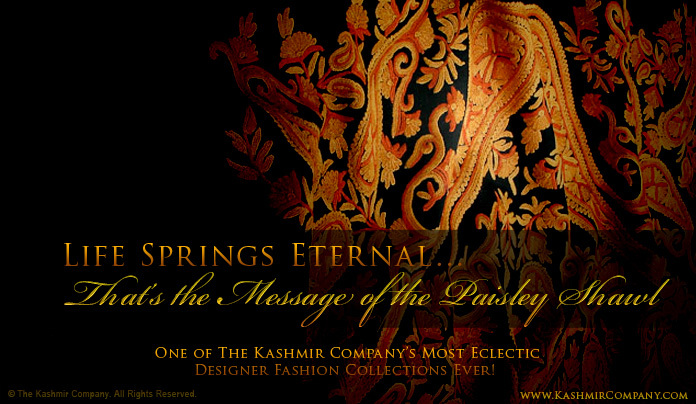 The products are unique in their exquisite and intricate artistry and have been created using materials that are the finest that Kashmir has to offer - the purest hand-woven Himalayan Pashmina, the best Kashmir cashmere wool, and the most exotic Kashmir silk. Every item in each of our collections has been hand selected by our in-house Kashmir experts, some items having been commissioned exclusively for us. Every product offered at The Kashmir Company has been touched by hand during multiple or all stages of their creation-hand-woven, hand-knotted, hand-embroidered, hand-sown, hand-dyed, hand-washed and even traditionally sun dried - with an attention to detail that only the finest institutions guarantee. The Kashmir Company's Seasons Brand. Classic & Timeless Fashion Accessories from Kashmir. As wondrous as the first green leaf of spring high up in the Himalayan range, as intense as the blue sky of a perfect summer day and orchards filled with apples and cherries, as festive as the harvest of fall and maple leaves blazing a fiery orange across the Kashmir valley, and as breathtaking as the first snowfall of winter covering the mystic land in a pure white blanket - Kashmir Company's Cashmere Shawl and Silk Scarf Collections are an exclusive, exquisite, and timeless collection of handmade and hand-embroidered Cashmere & Pashmina Shawls and Silk Scarves meant for only those with the most distinctive taste. Regal Home Furnishing from Kashmir. Dynasty is a line of exclusive and distinctive hand knotted Kashmir Silk Rugs and home accessories inspired by the royal era of carpet weaving dating back to the 15th century, each creation an embodiment of traditions that span centuries. Each piece that we showcase is an heirloom- exquisite and magnificent, worthy of generating many avid conversations. We present to you a collection of exclusive 100% Kashmir silk rugs, grouped by common themes, no two ever alike. Each rug is one of a kind, some commissioned exclusively for Kashmir, and taking few years to weave. The collections are classy and exclusive and the creations distinctive and inimitable. Woven in the highest quality silk the carpets have a special sheen, light playing an important part in highlighting and reflecting the often earthy and rich colors. Each of our Kashmiri silk rugs have a very high knot density, making them some of the best that Kashmir carpet weavers have to offer.